Ilchi Lee is an impassioned visionary, educator, mentor, and innovator. He has dedicated his life to teaching energy principles and researching and developing methods to nurture the full potential of the human brain. For over thirty-five years, Ilchi Lee’s life mission has been to help people harness their own creative power and personal potential. For this goal, he has developed many successful mind-body training methods, including Body & Brain Yoga and Brain Education. 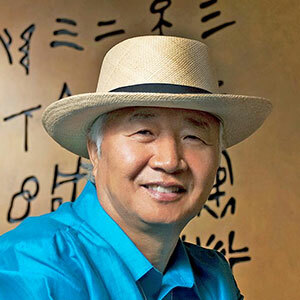 Ilchi Lee’s methods are taught in Body & Brain Yoga and Tai Chi centers or their equivalent around the world and at retreat centers he’s founded such as Sedona Mago Retreat in Sedona, Arizona. He also shares them online on his educational platform, ChangeYourEnergy.com, and through blogs such as his column on Patheos.com. Lee is a New York Times bestselling author who has penned over forty books, including The Call of Sedona: Journey of the Heart, Change: Realizing Your Greatest Potential, and The Power Brain: Five Steps to Upgrading Your Brain Operating System. His books have been translated into about ten different languages and are sold in at least eleven countries around the world. Lee’s Living Tao: Timeless Principles for Everyday Enlightenment was awarded a medal in the 2015 Foreword Reviews INDIEFAB Book of the Year Awards, and his books have won nine awards in the U.S.
Ilchi Lee is also a well-respected humanitarian who founded the Earth Citizen Movement, and who has been working with the United Nations and other organizations for global peace. Lee serves as the president of the University of Brain Education and the International Brain Education Association (IBREA). For more information about Ilchi Lee and his work, visit ilchi.com.